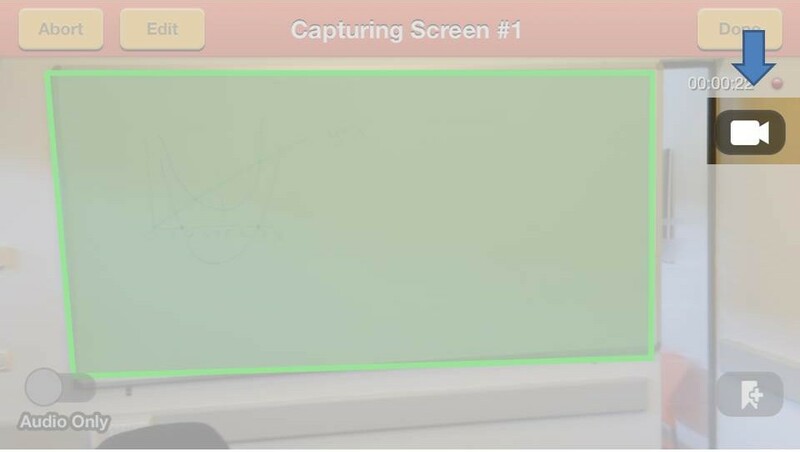 LectureMonkey captures high resolution images of the whiteboards and presentation, much more useful and efficient than video. Even so, sometimes you just need a video clip as part of a lecture (for instance if there is a demo during class). That is what the video icon is for. Press the video icon while recording and you’ll automatically get a 30 second video clip recorded as part of the lecture. Right before the clip ends LectureMonkey will ask if you want to continue recording video of go back to the regular mode. You can change the length of video clips captures in the setting screen.